Neo Geo bubble-popping frenzy Magical Drop II has been available on Japanese Virtual Console for a while now, but it's just received a rating from Australian board the OFLC, indicating a PAL release is within sight. 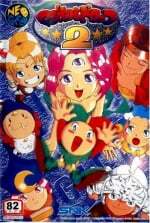 Of course, we're well accustomed to waiting months for rated games to make themselves available on the service, so in the meantime have a look at what you could be playing if and when Magical Drop II arrives. Which reminds me: Anybody know what these games are about? 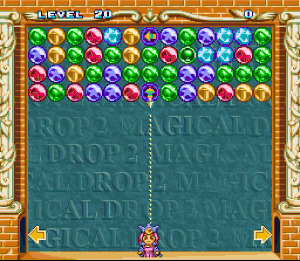 I'm thinking of getting Magical Drop F, but I don't even know the first thing about it. It's a bit like Puzzle Bobble, except instead of shooting bubbles up you pull them down and shoot them back up to join like-coloured ones together. Very straightforward! Cool. Sounds like Astro Pop. I love that game. Definitely a must buy for me. Will be fun to play it sounding and looking 17% slower..
Why not release Super Hang on instead. Why in a topic about what D4 Enterprise is doing would you bring up another game from a totally different company? D4 Enterprise has nothing to do with Super Hang-On. Because I was hoping that it would be the release of the week on VC. And in reality because I feel like it. Well at least it isn't another bloody beat-em-up. Pass since 3 is on Data East Arcade Classics, which I have. A shame Europe doesn't have it yet.